Craig Bloxsome is an Antler artist and his clever designs are exclusive to Art Antiques Antlers. He specialises in candleabras made from antlers with a classic twist of silver, gold, wrought iron, brass or other glamorous features. These stunning pieces are excellent engagement, wedding, anniversary or birthday gifts or for that someone who has everything and you don’t know what to get them. They are great for the minimalist decorator and would suit any decor either antique or modern. They suit the cluttered cosy look and can provide a feminine or masculine vibe depending how you present them. These antler candleabras come in a variety of shapes and sizes and range from cream to darker browns and blacks and will never be out of date due to their classic and stylish design. They are durable products and are almost unbreakable. 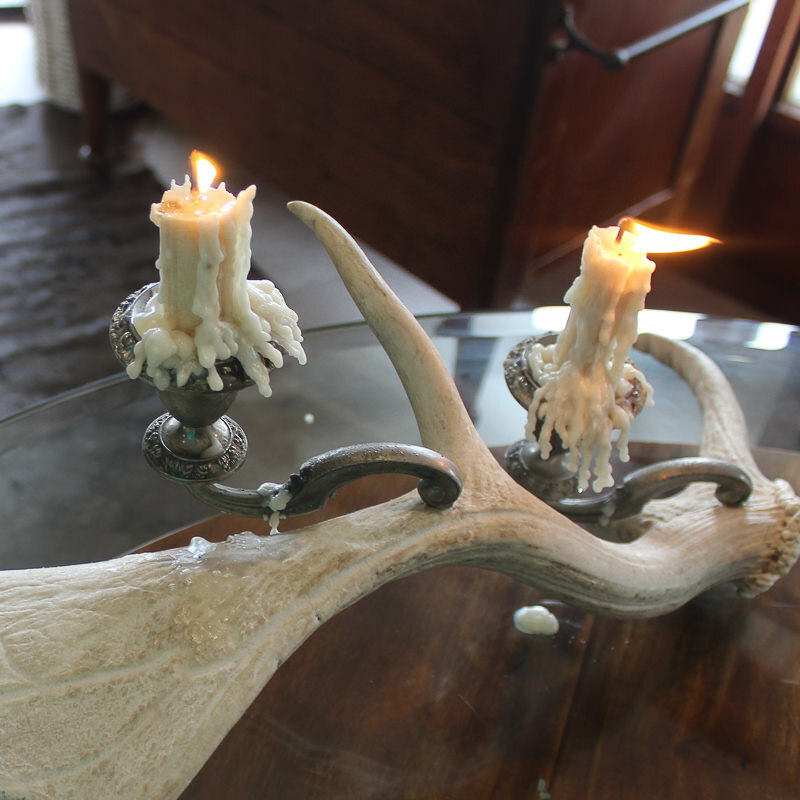 This product suits our range and philosophy entirely as the design and overall concept is Art at its best; the classic twist of silver, gold, wrought iron, brass or other glamorous features are always from Antique sources and the Antlers are real not synthetic like many modern so-called antler products. As Craig is an ex deer farmer, over the years he has collected the most stunning and prestigious array of antler pieces to complement his artistic and comprehensive designs. Each candle abra is individually priced and designed. Craig also makes hat stands and racks and other products such as our exemplary Art Antique Antler prestige table as seen in another post or on our website.